Triangle shown below has given a breakdown. 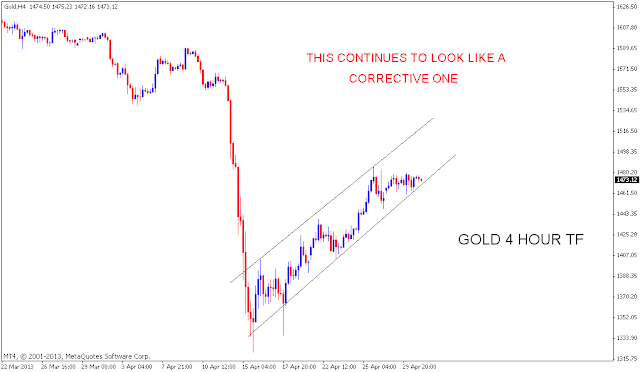 The corrective up move shown in the last chart seems to have finished. 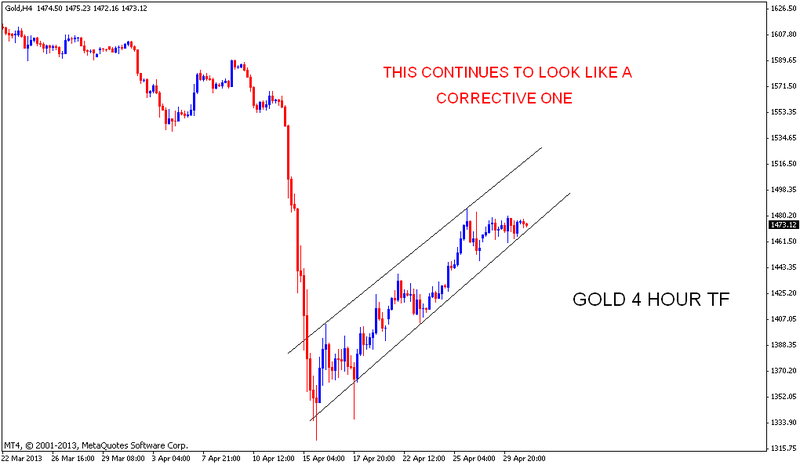 Next support near 1435 - 1445 if not held price may retest the lows. 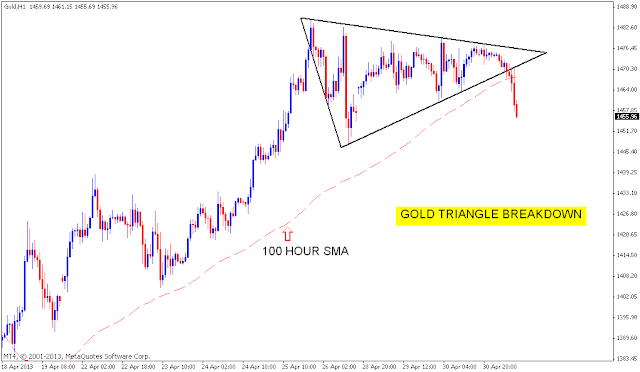 Gold one hour shows a triangle shaped contraction. 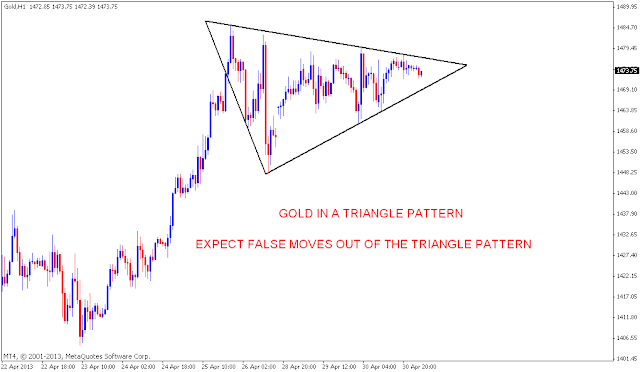 False moves are possible from the pattern. 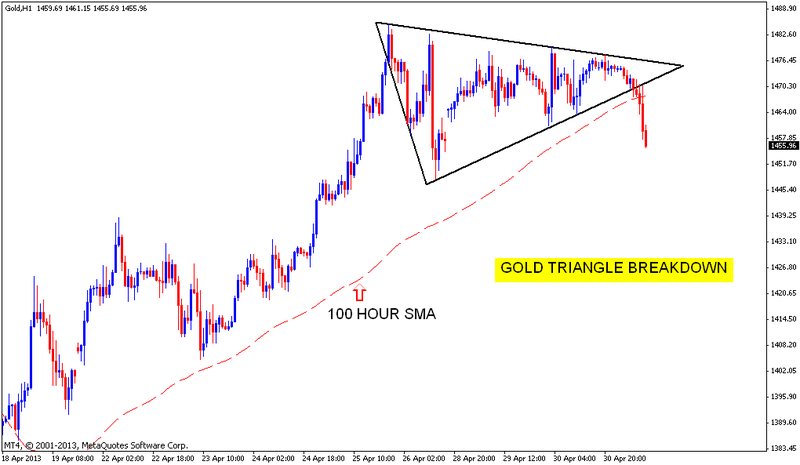 Price sustaining above 100 Hour SMA should give an upper breakout. 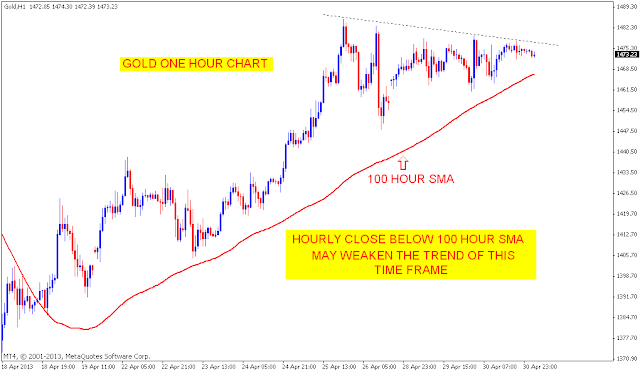 Hourly close below this level will weaken the up trend of this time frame. 4 Hour chart continues to look like a corrective up move. Đà tăng của chứng khoán Mỹ sẽ dừng ?